Mike Tyson’s famous quote seems oddly appropriate for this third and final part of my pre-TCR blog series. Ironically, despite covering the aspect which has taken by far the most time of all my preparations it’s going to be the shortest entry. You see, under TCR rules, we’re strongly discouraged from sharing details of the actual routes we have planned. The four checkpoints are well known and common to all riders. But what lies in between them remains a closely guarded secret that each of us will hold until the wheels start to roll, and the trackers reveal our various directions. The process to get there can be described though. And it’s been a long, and potentially tedious one. I say “potentially” because as someone who loves studying maps, and obsessing over details I have thoroughly enjoyed it. But judging by Facebook comments, I’m in the minority. It’s a task that definitely requires a capacity for repetition. At a guess, when you add up all the time spent on various drafts, re-drafts, fact checking, measuring, comparing and finally creating GPX files and cue cards, each 300km segment of my route has probably amounted to at least 3 evening’s work. And there’s 13 of them! Yep, you did the maths correctly, I’ve spent well over a month of evenings on this. Luckily I started back in February, so have been able to take a few breaks away from the PC staring at screens of Strava, Google Maps / Street View, Komoot, and all manner of other tools. Sorry what? … Cue Cards? That wasn’t a typo. 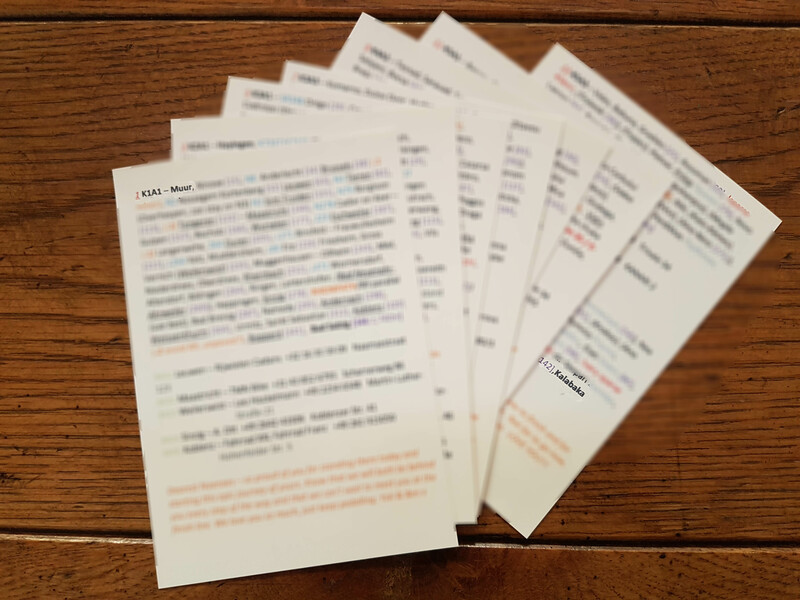 Even though I have 2 dedicated GPS navigation devices, and 2 phones that could serve as a backup, I also created a set of 7 small A6-sized cue cards. At 300km per side, the information is of course highly condensed but their purpose is more than a fallback in case of failure. The main motivation in creating them was to give me an aide-memoir to study ahead of each section to remind me of what is coming up. A little like the top tube tape Pro racers create, albeit with the emphasis being on knowing where I’m likely to be able to score a burger or a beer, rather than cues to launch a break-away attack. 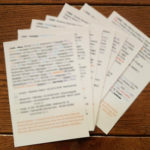 Beyond the blurry picture left I’m not going to divulge the specifics of each card – although I will say there are 56 bike shops noted down in the tightly packed text. The rest is far too valuable and secret to reveal. At least I’m going to pretend that’s the reason, rather than any embarrassment at my crude scribbling. 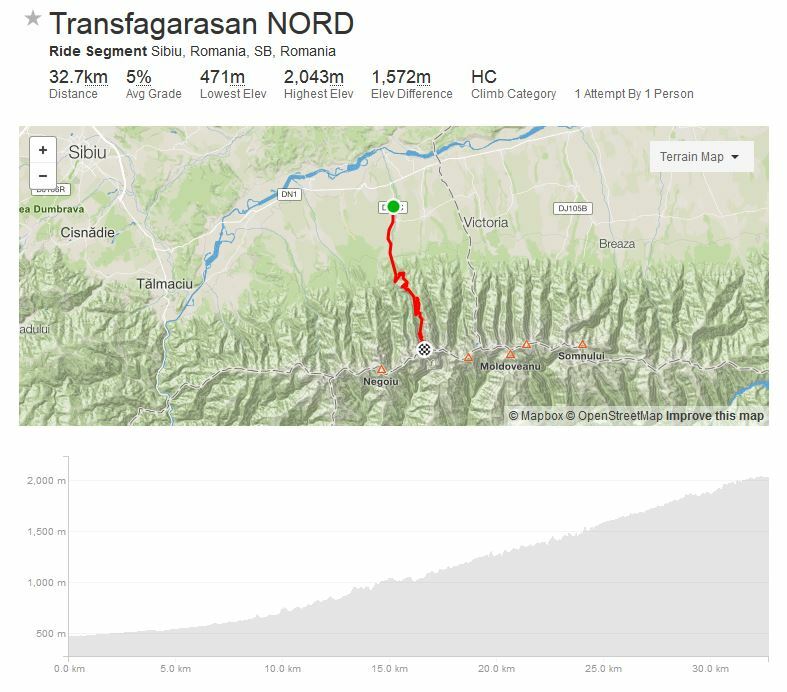 One thing which seems to be generally acceptable to disclose is our total distance – which for me comes to a shade over 4,000km and around 33,000m of climbing. Making this a slightly longer, but much flatter event than TCR No. 4. Built into that climbing figure are the mandatory parcours that all participants must cover. 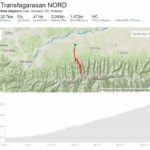 I wasn’t able to find a full profile description online, so resorted to scraping one from a Strava segment. 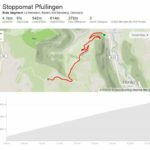 Compared to later parcours it’s not an excessively long or steep climb, but it will no doubt be felt in the legs all the same. 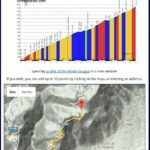 Legendary, iconic, and fearsome – yet one of the climbs I am most looking forward too. Having watched it numerous times on videos, I could probably narrate every one of the 20 hairpins which occur in the first 10 kilometers. On a heavy rig, it’s going to be a brutal battle. And I cannot wait to get there and slog my way up it. 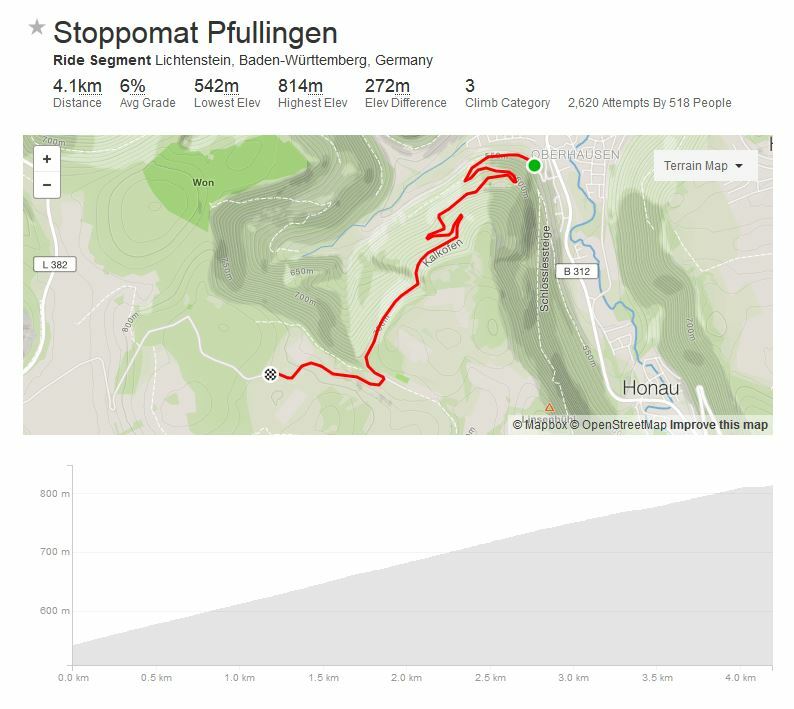 The climb up from Tatranská Polianka to Sliezsky Dom also doesn’t seem well known or documented, so again I’ve resorted to Strava. This one, I suspect, may be more challenging than it appears on paper, not least because of the accumulated distance in the legs and the fact that, without giving too much away, my route just prior to this took me over another sizeable peak. Hopefully there’ll be enough left in the tank to get me to the bar of the hotel at the top for a beer. 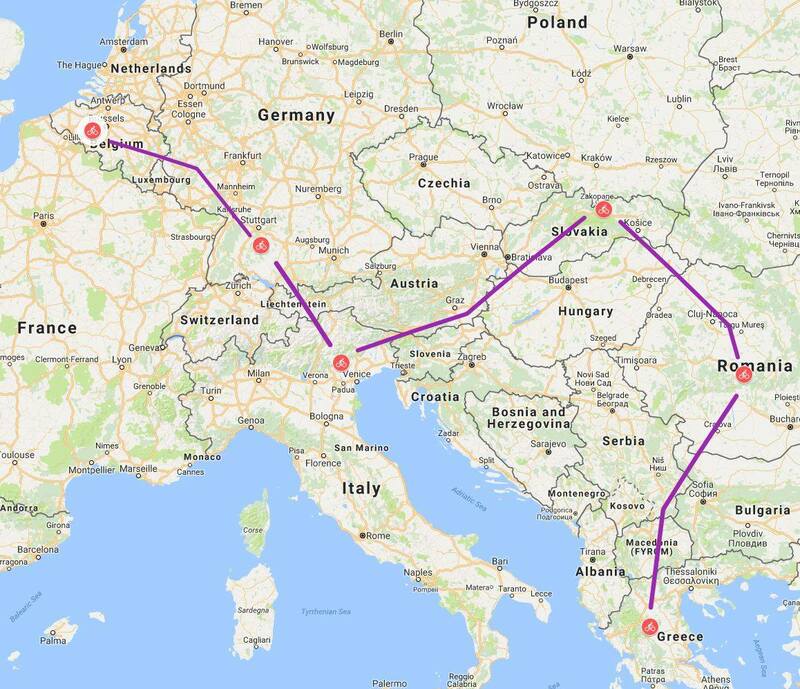 Again, I’ve resorted to Strava for this one, but you really need to go watch the Top Gear Romania special to get a proper taste of this heavenly section of tarmac. 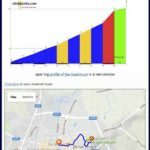 A rather sobering thought is that once overcome, there are still around 1,000km and 9,000m of climbing to the end of the race. So basically, having been racing for 10 days straight, there’s just a Cape 1,000km left to do. And that’s a wrap. The talking is done, now just the wait until Friday when the gun goes off, the pedals turn and 300 cyclists become dots scurrying off into the night (alternative view here).